Spring time has finally arrived! This means two things: No longer is there the fear of freezing to death on the way to class, and Mom's weekend! 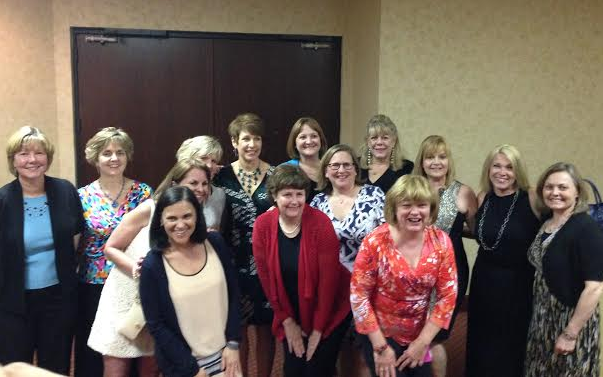 The weekend of April 11th, the chapter had the privilege of hosting the lovely mother's of Delta Chi. Many events took place over the course of the weekend. Everyone was busy and involved, partaking in activities from pledge class dinners, to live auctions, to senior farewell speeches. As a whole, Mom's Weekend provided an excellent way for the members to spend some quality time with their mothers here in Lawrence. Everyone had a great time, and all of the mothers have expressed their excitement to do it again next year.